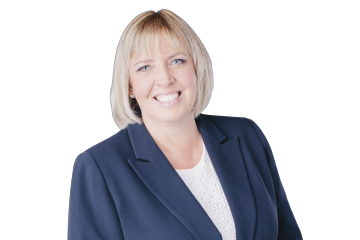 Schooled in both the art and science of real estate, Rhonda Roe believes the most important step in any transaction is the first – developing a deep understanding of a client’s needs. Her extensive knowledge of real estate development, construction and building science, formal training in Business Administration, and first-hand experience building the summer home of her dreams means Rhonda has the foundation to be an exceptional realtor. For Rhonda, it’s about connecting with people that have a challenge to be solved or opportunity to be realized. Together, Rhonda and her clients put a plan together to get them from where they are to where they want to be – an organized, strategic plan that gets results. Every real estate transaction is like a puzzle. The key to success is finding the right pieces, placing them in the right location, and creating a result that is both beautiful and gratifying. Professional, hardworking, knowledgeable and successful. These are just some of the words her colleagues and clients have offered to describe Rhonda. A natural problem solver, able to find an elegant solution where others have failed, is what sets Rhonda apart from your average real estate professional. Rhonda Roe did everything she promised she would…and then some! Her thorough and informative market assessment allowed us to price our home appropriately. She marketed and sold our West Van home in 10 days and got full asking price. We were anticipating a long drawn out process and Rhonda went above and beyond by making our sale completion and move an easy transition. She listened to our needs and kept us informed throughout the whole process. We would not hesitate to recommend her to anyone considering a move.